← Casual Valentine Date Outfit Inspirations! * I get a lot of messages in regards to what “diet plan” I am on. Plain & simple, I see “d-i-e-t” as a four letter word. (Check out my sister’s blog – Skinny Rollercoaster. She is my best friend, soul mate and ultimate partner in my health & fitness journey. She inspires & keeps me motivated by her daily dedication.) I’m committed to eating clean, free of gobs of processed foods-enjoying the foods my body THANKS me for-full of nutrients. This is not a plan with a deadline, this is the rest of my life. 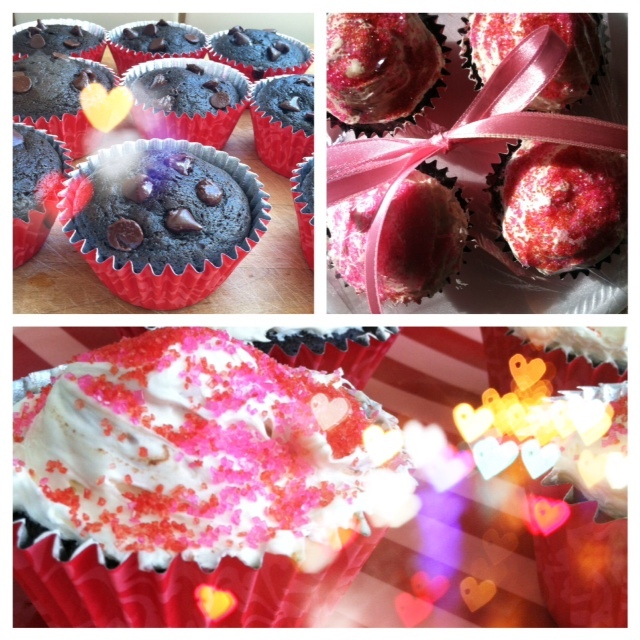 That being said- here’s my shameless Vegan treats I whipped up in my own kitchen for the ones I LOVE most. Combine almond milk & apple cider vinegar together. Allow to curdle. Add in Sugar, oil, and vanilla extract. Stir. In a separate bowl combine flour, cocoa, baking soda, baking powder, and salt. Sift together. Fold in dry mixture to the wet ingredients. Beat until no large lumps are present. Add liners to muffin pan. YUMMY!! 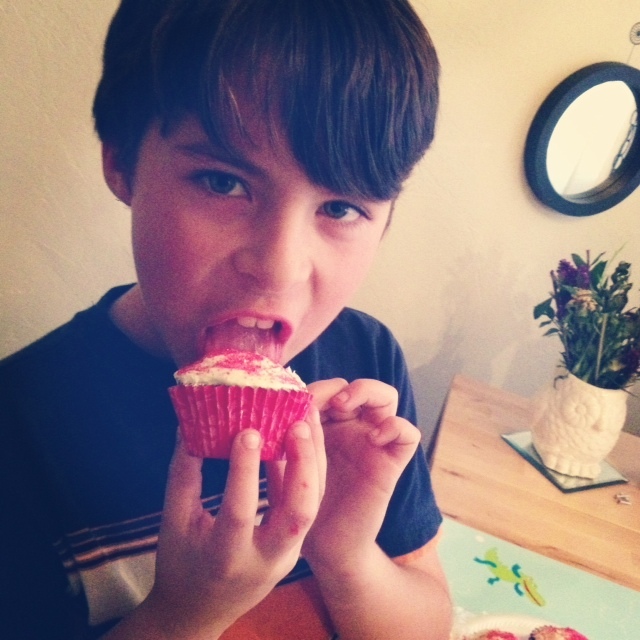 These cupcakes even got my Godson’s stamp of approval! Sending X’s & O’s to all you beauties!